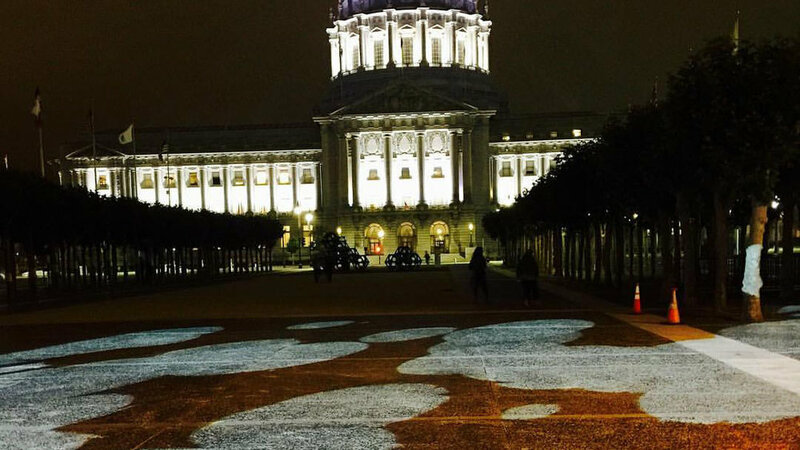 I worked with Anticlockwise to build a 40’x150’ interactive projection-mapped fluid simulation for San Francisco’s City Hall. Launched Feb 2018, this is a permanent work of art that comes alive every evening after the sun goes down. The piece simulates the motion of Karl, the nickname for San Francisco’s fog layer. By walking through the interactive area, participants modify the movement of the fog simulation and are encouraged to interact with each other. 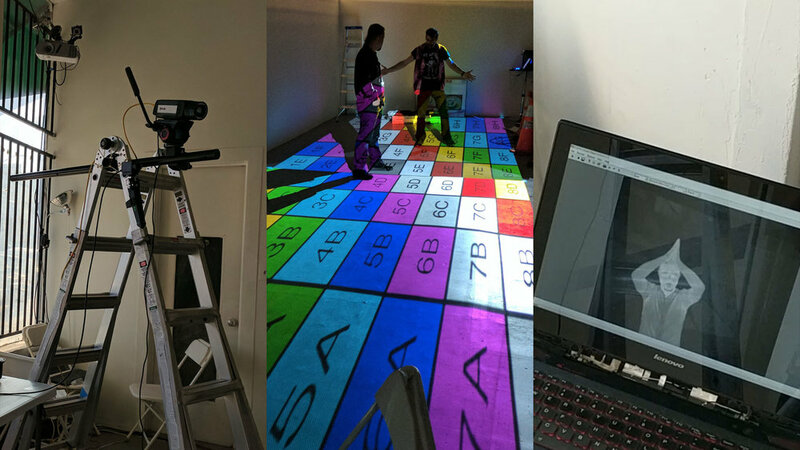 This project uses two Christie projectors. One is mounted on the top of the San Francisco Public Library and the other is mounted on the Asian Art Museum. Each projector is 4k and fills slightly more than 60% of the horizontal play area. The simulation involves large fog particles interacting with participants. This image shows an early preview of the dot scale on the final interaction zone. All of the interactions and simulations have been continuously tested in our Oakland studio near Lake Merritt. We built a miniature replica using using both thermal and infrared cameras and frequently deploy our code changes. The process began with Cory Barr coordinating with various government organizations and pitching our offering. Once we got the greenlight from the city, there was a lot of planning and team coordination. We hired contractors and scaled up to meet the demands of the project. Additionally, we rigidly defined the scope of the design and iteration phases. My contributions to this project have been in almost every area: software architecture, coding, business development, project management, etc. We are a small team and everyone wears lots of hats. The technical achievement I’ve most proud of is creating a completely modular sensor and simulation architecture that allows us to profile and optimize every layer of our stack.